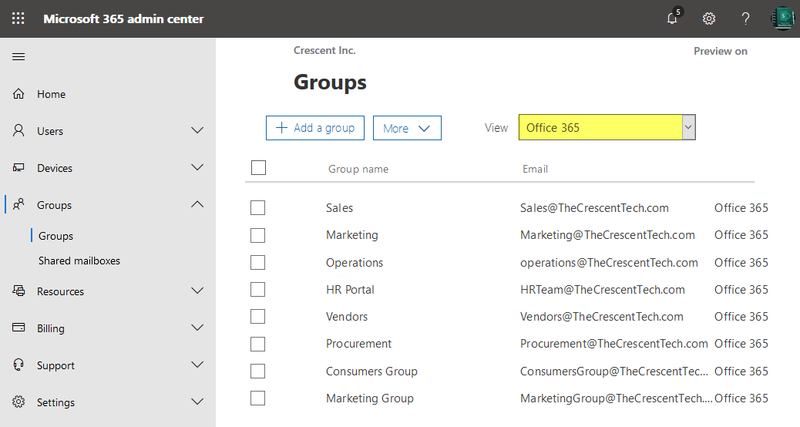 How to Get Office 365 Groups in Admin Center? As an admin, you can get office 365 groups through Microsoft 365 admin center. Expand "Groups" and Click on "Groups" in the left navigation. In the "View" drop-down, Select "Office 365". That list's all Office 365 groups to the page. Use Get-UnifiedGroup cmdlet to get all Office 365 groups in Office 365.